Looking for a thoughtful gift for your loved one? Something that will be truly helpful and make a difference in their life? Giving the gift of an introduction to Yoga or an opportunity to expand their practice can be a life-changing gift! 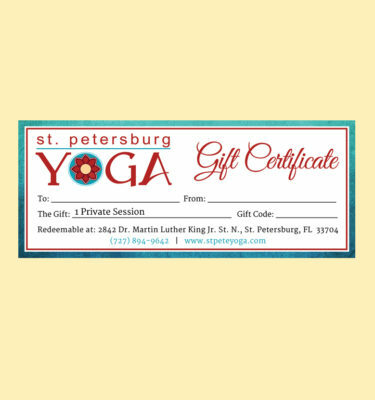 When you purchase a gift certificate, you will have an option to have us ship it to the recipient, or you can choose to pick it up at the studio if you’re local. You’ll see the option during checkout. For any questions please email info@stpeteyoga.com or call us at (727) 894-9642. 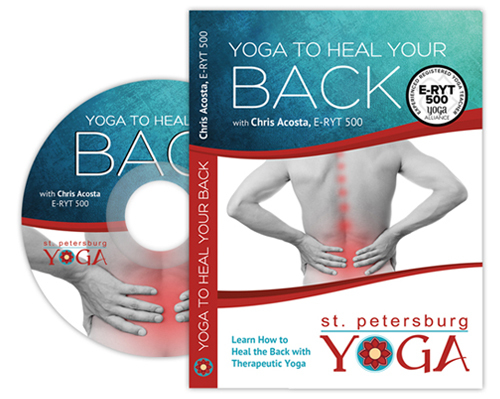 Our instructional DVDs make great gifts for taking Yoga home! These are especially good gift ideas if you’re looking for something for someone who isn’t in the area or can’t make it into the studio in person. 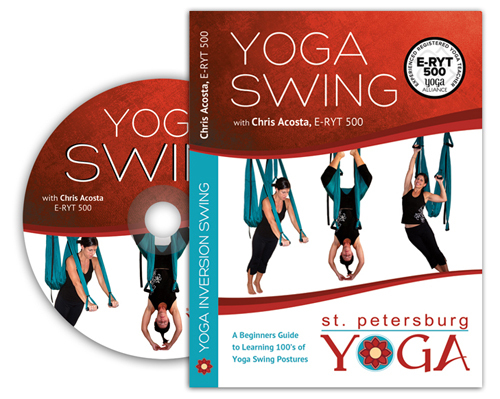 Our Yoga inversion swings are a great gift for back pain sufferers, as well as anyone who likes to use the swing as a tool in their physical practice. 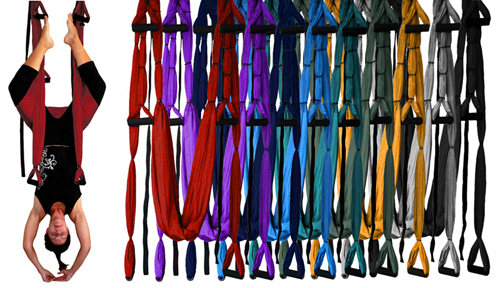 We have lots of color options to choose from, and each swing comes with instructions on how to install it in your home.